Coordinating a number of things is one of the important jobs of any online marketer. This can be very much confusing job if you are involved in a number of marketing campaigns on the web. Luckily you have a free of cost Android application called Trello, which can help you in doing these things. Trello comes with a - to do list manager, which can manage a number of things for your day to day online marketing. This application is really very much handy when you talk about carrying out a number of social networking jobs for your marketing purposes that too in one interface. 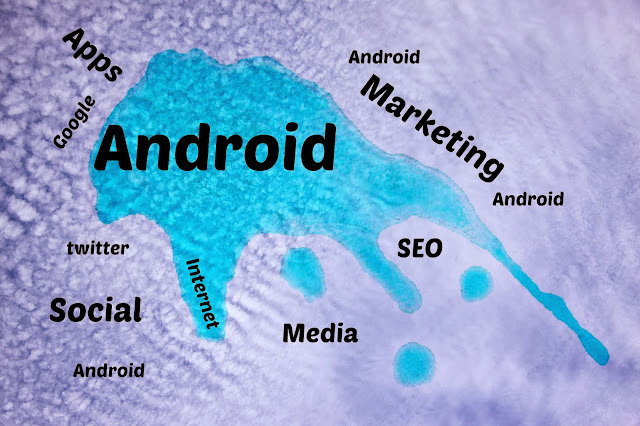 It is compatible to a number of devices apart from being the favorite for the Android based marketing users. With a number of features in it, HootSuite has simply embarked as an important global social media marketing application and the best part – it comes for free. For online marketers the keyword ranking matters a lot. Apart from monitoring your keywords you have to keep an eye over a number of sites as well and keep on checking their SERP positions. The SEO SERP App, which is basically a free of cost tool helps in extracting a slew of data in concise and organized way, which makes it’s a must for every online marketer. Are you keen to host a webinar or some other event under the inbound lead generation initiative? If yes, the tool Eventbrite can be the right app for you as it helps in managing the event the best. Right from planning and coordinating things on the road it does a number other jobs for the event. It also checks for things like managing registrations, creating the supporting reports, and monitors where and how your attendees are coming from. Another worthy free of cost Android application for the marketer! Another worthy and free Android application is Adology’s Marketing Forecast app, which helps in catching up the latest news, views and ads of your niche area. You can find a number of features including the U.S. economic trends, Google’s trending topics, and also the Twitter streams, which collate certain recent Tweets regarding online marketing and advertising tasks. This application simply acts like your personal assistant for organizing virtually everything you have for your marketing activities. You can easily organize a number of ideas, articles, and other resources along with so many day to day businesses marketing stuff. It comes for free. This application helps in browsing all sort of content found over your all time favorite blogs and websites via your Android based mobile devices. It also checks the RSS feeds, YouTube videos, Tumblr blogs and other sites. Indeed a worthy and free of cost application for online marketers. It is very much important to monitor Google AdSense. So how to do it! No worries just rely on AdSense Dashboard as it can help you in many ways. You can find a number of critical performance metrics and other stuff in few clicks using this free of cost Android based application. This free of cost application for the Android users help in getting an intuitive kind of user interface, visits, stats charts, no of visitors and a wide range of traffic sources data and other details. Unlike many apps, it is also free of cost. The application - WebRank SEO is among the best free tool for online marketing and SEO purposes. It can offer you load of data as per your current SEO status, like indexed pages in a list of a number of search engines including Google PageRank and Alexa along with a number of other things. It comes for free. Another worthy tool for marketers is SECockpit. It deals with search engine optimization tasks, wherein you can find it a good option for things like keyword research tool, which generate loads of ideas for online marketers. You can find out data like the highest cost-per-click cost, a number of searches for any chosen keyword of your for the previous months along with getting other competitive data and details for free. This application helps in analyzing things like coding, which helps in reporting different issues that are supposed to be fixed over a website. You can even analyze things like the style and navigation of any page and it even sends out the users a report on different kinds of findings like knowing the potential problems as well. Are you keen to look the whole Microsoft Word, Excel spread sheet or PowerPoint files in one go? If yes, you can very well do this using this application. This can be a big boon thing for the online marketers, which luckily comes for free via this application. Another worthy application for online marketer is Statigram. It is basically a social analytics tool for the Instagram, simply designed to give people a very good Instagram experience. Also, it helps in integrating with HootSuite, which comes for free. This application analyses the web page and move the data over the most used keywords or key phrases without a single buck. Indeed a good tool for things like competitive analysis. This tool help in sharing and monitoring short looping videos using your Android based devices. It is among the best and free of cost video application for the online marketer. Applications and software can really help in making the task of marketers simple. The above list can really help you a lot and can add wings in your day to day online marketing activities.